I apologize in advance for the obscene amount of chocolate recipes I have coming up to share. I’m not sure what’s going on, but all of the days I’ve been in the kitchen for recipe development have ended up with cocoa powder and chocolate chips! Sometimes that is not necessarily a bad thing. 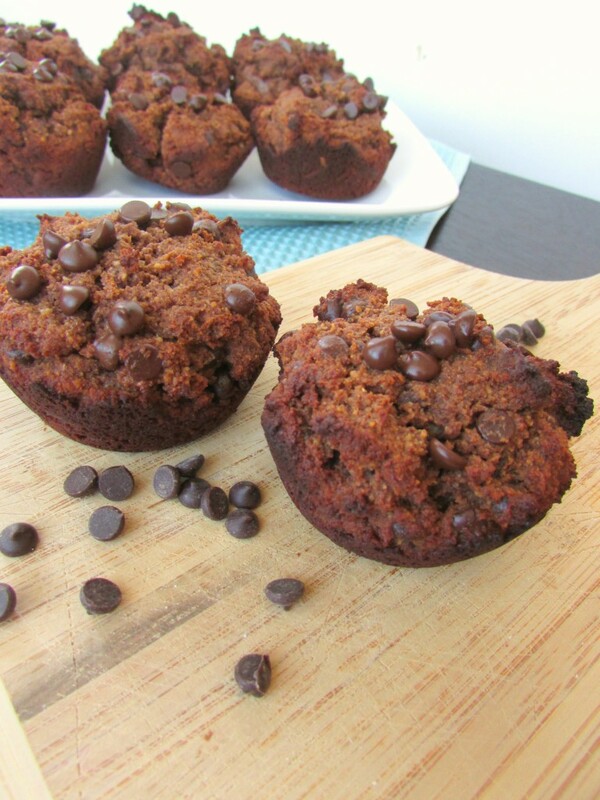 I do love brownies, and I do love muffins (check out my awesome Paleo Brookie recipe here), so I thought that I could do the same in this situation! Why not turn a brownie into a muffin? 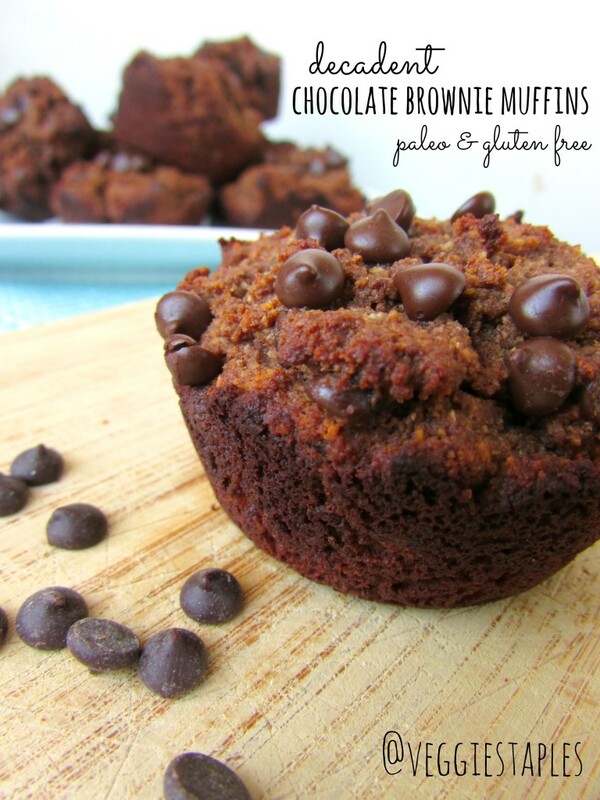 A paleo, gluten free, decadent chocolate brownie muffin? Well, here it is. Look no further for something you shouldn’t feel guilty about having in the morning for breakfast, in the afternoon for a snack, or as a dessert. Taste testers told me these were sweet, but not too sweet, perfectly moist and had a great texture. I hope you feel the same way, cheers! Bakers Tip: if you fill the empty cups with water the muffins will cook more evenly! Ooooh, and I bet these could be made with coconut milk to make them nut free? Yum! Oh yum. I tried to make brownie muffins a few weeks ago (for that Caveman Lovemuffin Exchange) and mine came out too dry so I’m excited to try yours once I can (since I’m back on AIP again). I like how you think though! Yours sound delicious!